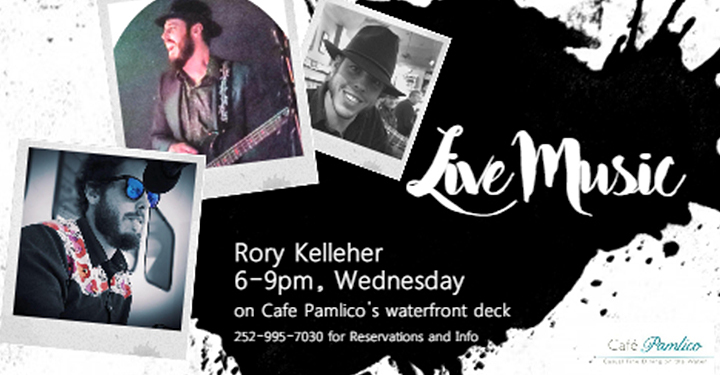 Join us at Cafe Pamlico at The Inn on Pamlico Sound every Wednesday evening for dinner, drinks, a beautiful sunset and the acoustic melodies of Rory Kelleher. Rory is a talented local musician with an array of sounds from Johnnie Cash and Waylon Jennings to some of today’s top hits. 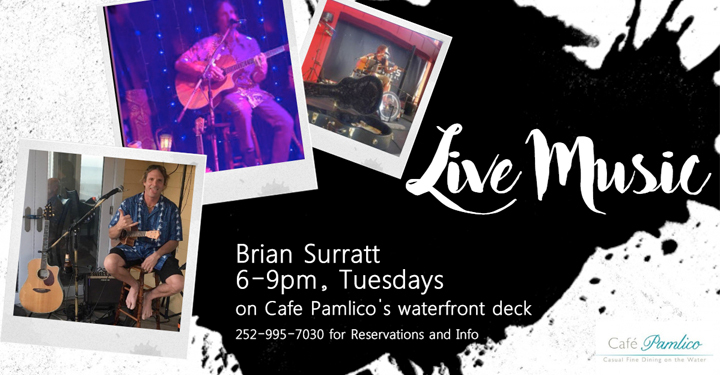 If the sun is shining you will find him playing on our waterfront deck with the “Shaker Shack” bar open for drinks and bar food (rain will move us into the main dining room).